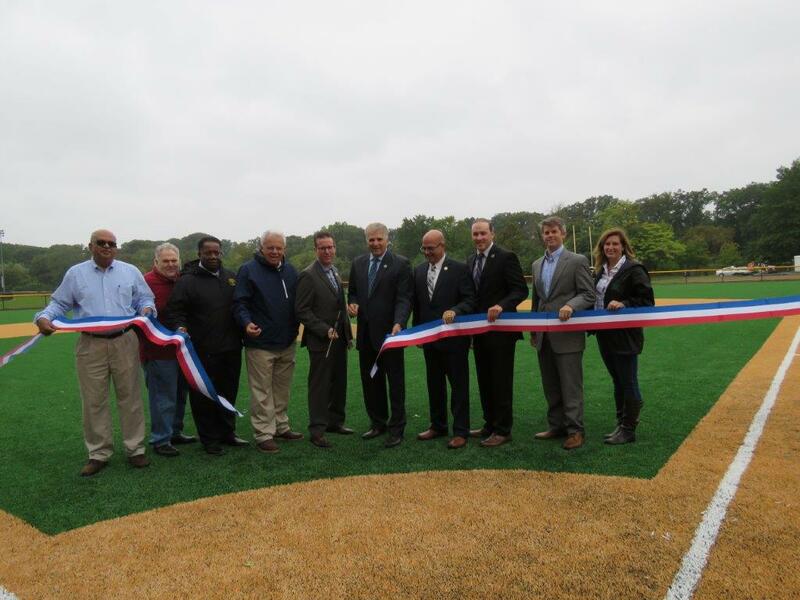 Newark/Nutley, NJ – On Friday, September 28th, Essex County Executive Joseph N. DiVincenzo, Jr. announced that athletic fields in Essex County Branch Brook Park in Newark and Essex County Yanticaw Park in Nutley have been modernized with synthetic playing surfaces. The projects are part of the County Executive’s ongoing initiative to continue the revitalization of the Essex County Parks System and meet the needs of the community. “We are always looking for ways to continually update our recreation facilities. Schools and local recreation programs rely on our fields to conduct their practices and games, and these improvements will ensure playing conditions are maintained at a high level,” DiVincenzo said. Joining the County Executive at the announcements were Freeholder President Brendan Gill, Freeholders Len Luciano, Robert Mercado and Carolos Pomares, Gerard Marchese from the North Ward Little League, Nutley Public School Athletic Director Joe Piro and Nutley High School Softball Coach Luann Zullo. In the Essex County Branch Brook Park Middle Division, the Ray Dandridge Field and the Jerome Greco Field were upgraded with synthetic playing surfaces, new drainage systems and repairs to the sports fencing. 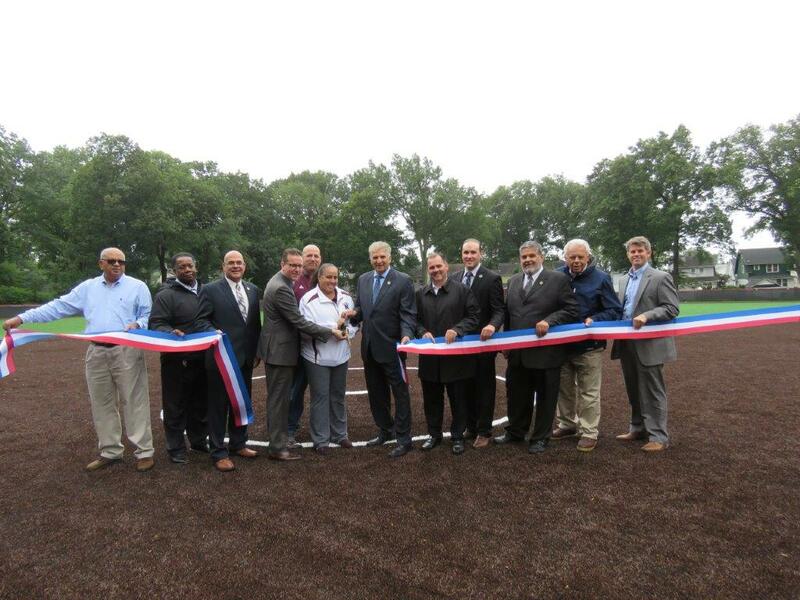 In Essex County Yanticaw Park, the infield of the James Walker Field was upgraded with a new synthetic playing surface and drainage system. The improvements address flooding issues on all three fields, provide modern and safe playing conditions and will allow for maximized usage. Bowman Consulting from Newark was awarded a $61,920 contract to design the upgrades to the athletic fields. Landtek Group from Amityville, N.Y., was awarded a publicly bid $1,498,945 contract to perform the construction work. The Essex County Department of Public Works monitored the project to ensure delays were avoided. Funding was provided with a grant from the Essex County Recreation and Open Space Trust Fund and the Essex County Capital Budget. Work started in June and was completed in three months. The Essex County Park System was created in 1895 and is the first county park system established in the United States. The Park System consists of more than 6,000 acres and has 23 parks, five reservations, an environmental center, a zoo, Treetop Adventure Course, ice skating rink, roller skating rink, three public golf courses, golf driving range, two miniature golf courses, four off-leash dog facilities, a castle and the Presby Memorial Iris Gardens. Branch Brook Park was created in 1895 and is the first park in Essex County’s system. At 359.72 acres, it is the largest county park in Essex. Land for Yanticaw Park was acquired between 1911 and 1914. At 28.75 acres, it is the 11th largest park in the Essex system.